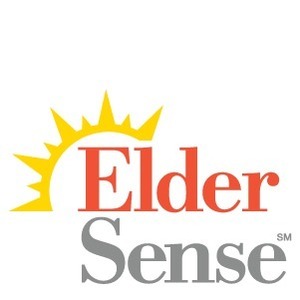 Los Angeles, October 25, 2013 – ElderSense.com, the Internet eldercare start-up that has been described as a cross between “Angie’s List for caregivers” and “Yelp for senior housing” has captured the #1 spot in Chick Launcher’s competition for the most popular new business of 2013. The award was accepted by P.K. Fields, the company’s founder and CEO at the “Innovation LA” event hosted by Broads Circle in Los Angeles. The award was the result of voting by the Chick Launcher membership and support network from a semifinalist list of 37 participating companies. Making Sense of Elder Care. Yelp for eldercare”an eldercare platform dedicated to being a one-stop solution for those seeking quality eldercare services, facilities and information. An eldercare platform and ecosystem dedicated to being a one-stop solution for those seeking quality eldercare services, facilities and information. We allow care seekers and caregivers to bypass home health agencies – similar to what Kayak, Expedia and Orbitz did to travel agencies, we intend to disrupt the home health agency business. Caregivers can post their profiles and qualifications for free, and care seekers can view potential caregivers for free, but we ask care seekers to pay a subscription fee before they can contact our caregivers. Moloshok invests in & serves on digital media boards, including companies in eldercare, social entertainment, second screen, social commerce & cross media programming & technology. He also worked at Yahoo!, Warner Bros., HBO and other companies.